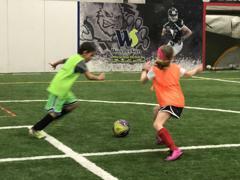 Classes develop dribbling, shooting, passing, trapping and shielding. 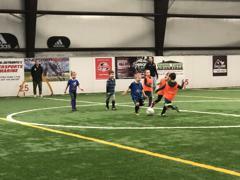 It is designed to have children continue improving their fundamental skills while preparing them for their next level of participation, an organized soccer program. We also teach teamwork and sportsmanship. Small non competitive games will be played to apply soccer skills learned in class. Contact us for any further information or questions.